Learn more about our weekly, monthly and special event podcasts below. Hover over each icon to get a brief description; click to go to that podcasts’ page for more information and episodes. Check out our most recent podcasts here. Your weekly dose of AV news and information. Featuring some of the most engaging people in the AV industry. Breaking news and special in-depth looks at the events and issues facing the AV industry. Marketing and AV professionals talk about how social media impactsr AV companies big and small. How does the Internet of Things (IoT) and how other evolving topologies impact the AV industry? A podcast for and by Education Tech Managers. Discussions ranging from classroom tech to dealing dealing with faculty and more. IT AV looks at the world of Audio Visual through the lens of the IT professional. Discussions about how tech changes will impact AV from the real world. Our team discusses topics relevant to audio engineers and system designers with the industry pros. It isn’t just about touring, it is about live performances. ResiWeek is a weekly dose of residential AV news and information. ResiWeek always discusses the current, entertaining, and controversial news about the residential market. 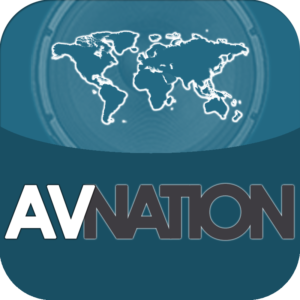 AVNations sits down with a variety of leaders in the world of control. The discussions covers the latest and greatest in AV control hardware and software, and how to use it properly. The AV Profession brings insights into the running of your audio visual business. We look at creating and keeping track of KPIs, managing employees, connecting with clients, and increasing revenue. Once a month we talk business leadership authors. We encourage you, our audience, the opportunity to read along and more importantly submit questions. To keep AVNation current, our shows change in response to the changing world. We still have our older content.